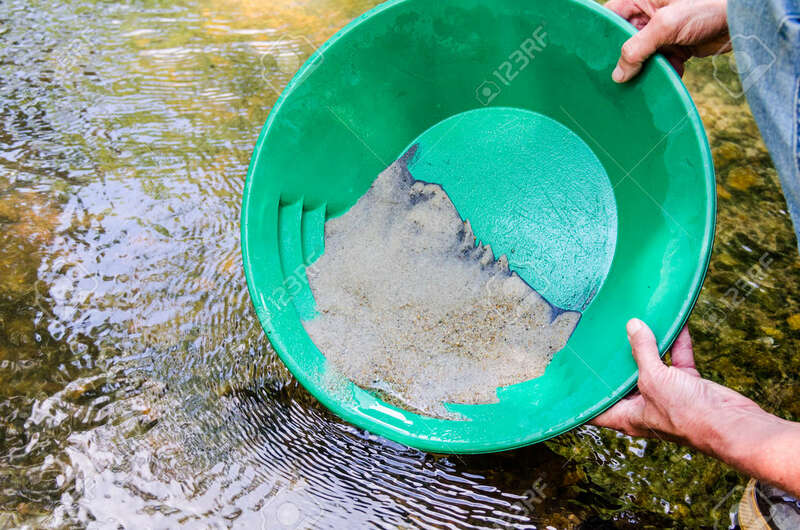 Panning For Gold In Mineral Rich Stream. Fun, Recreational Outdoor Activity Of Prospecting For Gold And Gemstones. Lizenzfreie Fotos, Bilder Und Stock Fotografie. Image 114070581. Standard-Bild - Panning for gold in mineral rich stream. Fun, recreational outdoor activity of prospecting for gold and gemstones. Panning for gold in mineral rich stream. Fun, recreational outdoor activity of prospecting for gold and gemstones.